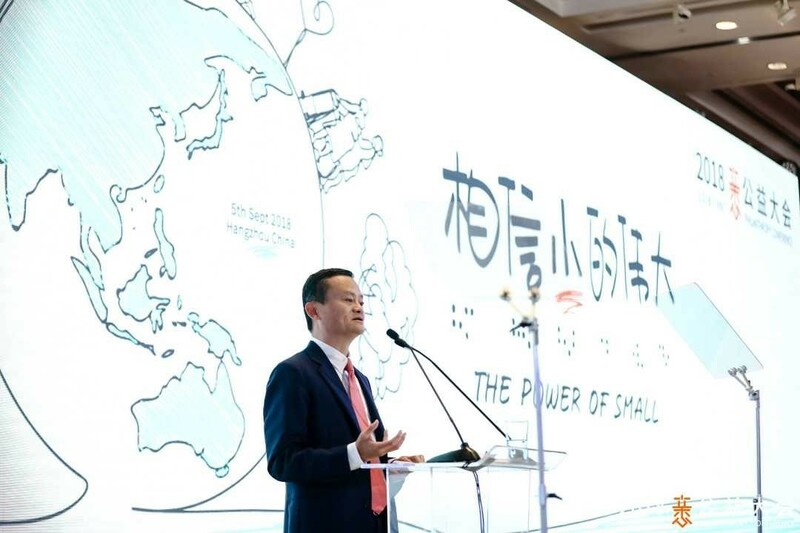 On September 1, Alibaba Group 9/5 Philanthropy Week begun. By searching 9/5 Philanthropy Week on Taobao APP, users could enter its main venue, and then participate in a blessing bag cutting game, assisting philanthropy by cellphone skin-changing, stating on three-hour philanthropy activities and so on, lasting until September 9. During the Philanthropy week, China Foundation for Poverty Alleviation (CFPA) invited ten celebrities - Yao Chen, Chen Qiaoen, Zheng Yuanchang, Zhang Tianai, Zhou Dongyu, Zhang Yunlong, Gao Weiguang, New F4, Zheng Kai, Liu Yan - to advocate for the Sunshine Runway Program, calling for public engagement to donate steps and advocating healthy concepts. CFPA’s Nutritious Meals Program, Sunshine Runway Program, Smiling Children Program and Pillar Insurance Program are selected as display projects during the Philanthropy Week, and we invited Bao Beier, Sun Wei, Awaken-F An Yuexi, Xu Zheng to endorse these programs, calling for public fundraising which will support these philanthropy programs. 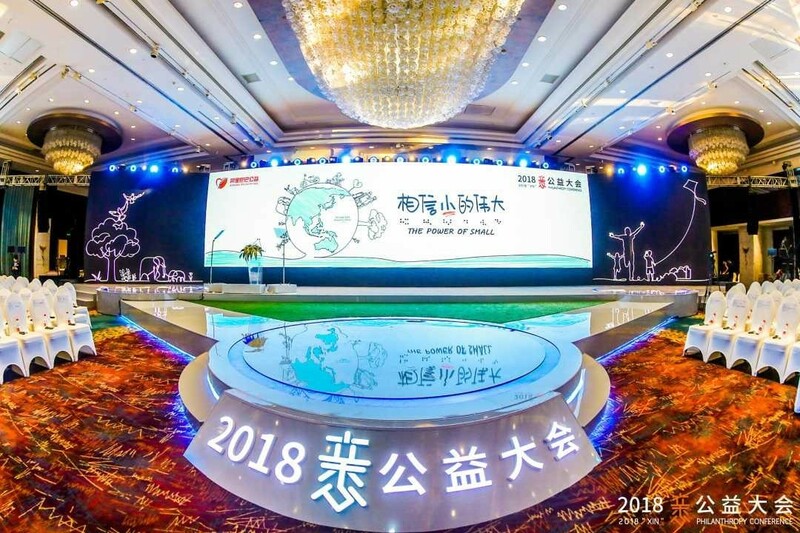 On September 5, Alibaba's 2018 Xin Philanthropy Conference was held in Hangzhou. 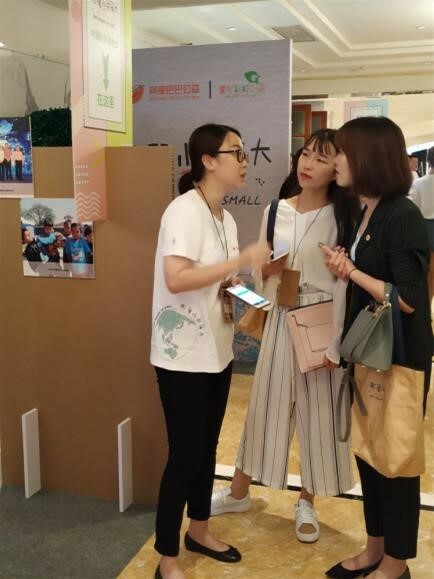 With the theme Believe in the Greatness of Small, the conference aimed to push forward the creation of a philanthropic culture with public participation, explore new modes and new ideas of Xin Philanthropy, and promote sustainable development of the Chinese philanthropy industry. Ding Yadong, deputy secretary general of China Foundation for Poverty Alleviation(CFPA), was invited to attend the conference. 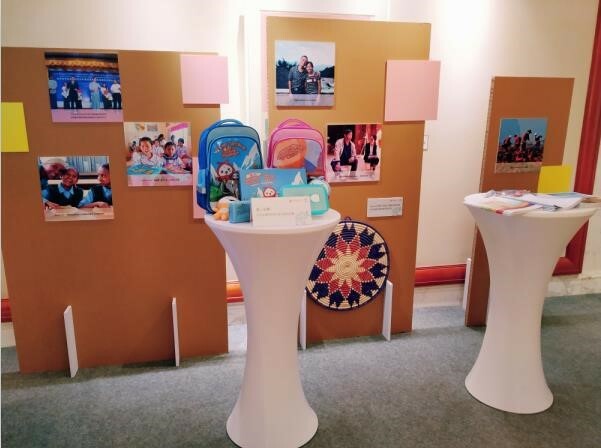 CFPA’s Pillar Insurance Program and various international projects were displayed through pictures and objects at the conference, which gained special attention from the guests. Our staff introduced these projects, and showed to guests international Panda Packs and handicrafts from projects in Africa.